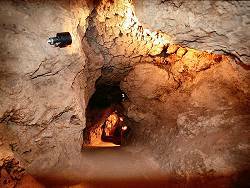 Image: tufa inside the tufa cave Olgahöhle in Germany. It is also called travertine or dripstone. 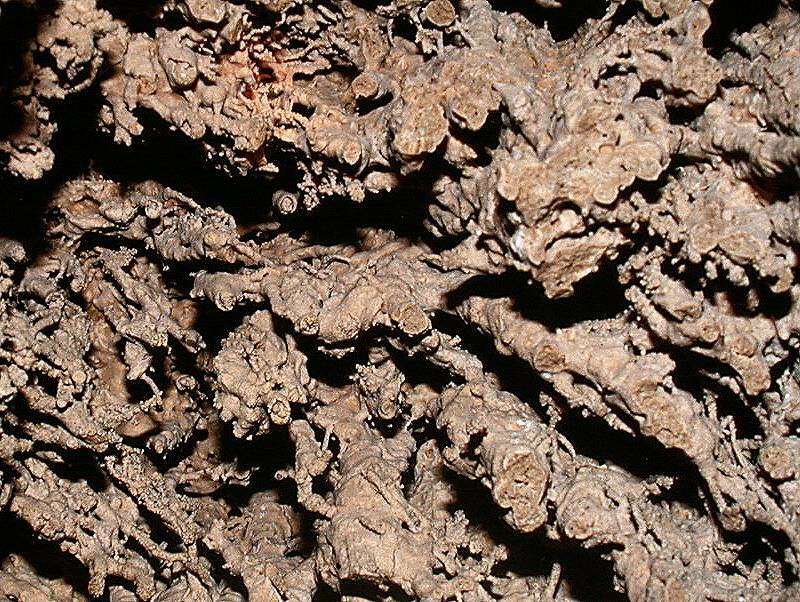 Image: the tufa cave Olgahöhle in Germany. 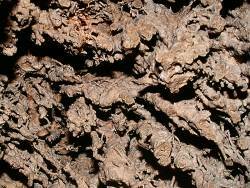 Tufa Caves are primary caves formed during the deposition of the tufa itself. This happens near karst springs, when biologic processes remove the CO2 from the water and the calcium carbonate starts to deposit. The limestone often forms lakes and waterfalls, similar to rimstone pools, but the growth of the limestone is very much influenced by the growth of plants. Often biologic remains are "fossilized" in this limestone. The formation of caves starts with a rim of those pools. Along the rim, the water of the pond falls down to the next level of pools. As the water deposits limestone at the rim, the rim grows outward. Sometimes it is not stable enough to carry its own weight, so it breaks down and forms a wall of debris some meters in front of the rim. The cave is complete, when the extent of the rim and the debris at the floor meet. The rims run across the valley, very seldom and only for some meters they run along the valley. So do the caves. The rims are sickle-shaped, pointing down the valley. 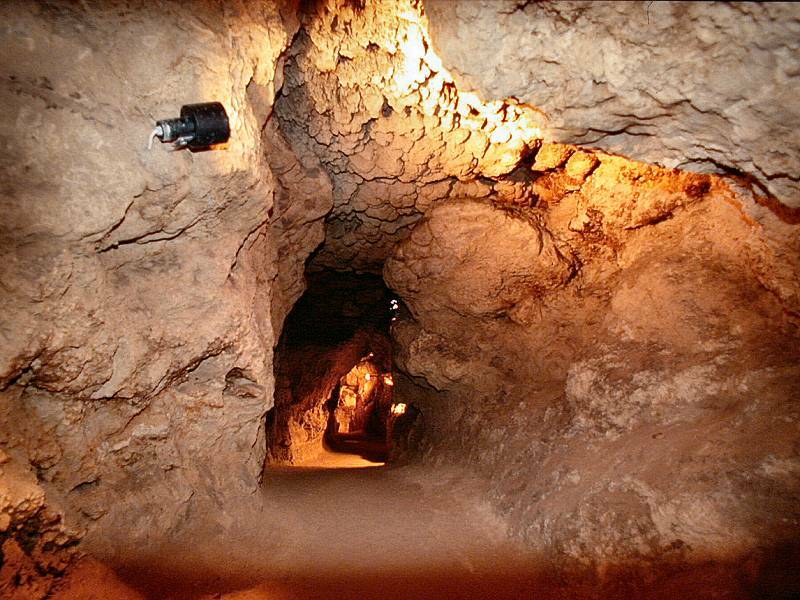 So are the caves. The process continues, so it is possible several parallel caves are formed.